In a year that saw Queen Elizabeth II become Britain’s oldest ever monarch, London’s oldest family brewer celebrated a landmark too. We marked a decade since the launch of the Vintage Ale series, with this classic 2007 brew. With an aroma incorporating spicy hop notes and rich fruit character, the 2007 Vintage Ale leads on to a malty, fruity, sweet palate. There’s a surprisingly clean finish, coupled with a matching bitterness. 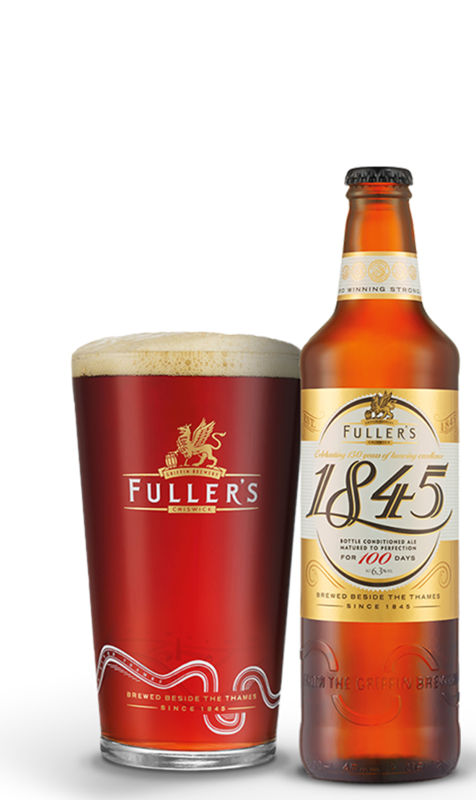 A strong, rich and fruity ale, Fuller's 1845 was specially commissioned to celebrated 150 years of the Fuller, Smith and Turner partnership. It's a live, bottle-conditioned beer, skilfully brewed to mature over time. Riding the wave of the US craft beer movement, Wild River is an exciting take on American Pale Ale. It’s a double-hopped brew made with several Californian hops – a golden beer inspired by The Golden State.